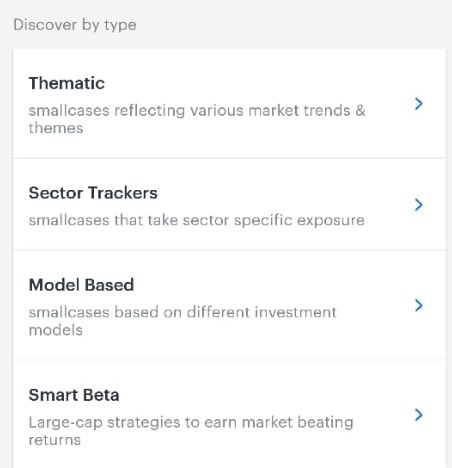 The first step to investing in a smallcase is finding a smallcase that's right for you. There are no recommendations given on which smallcase you should buy. 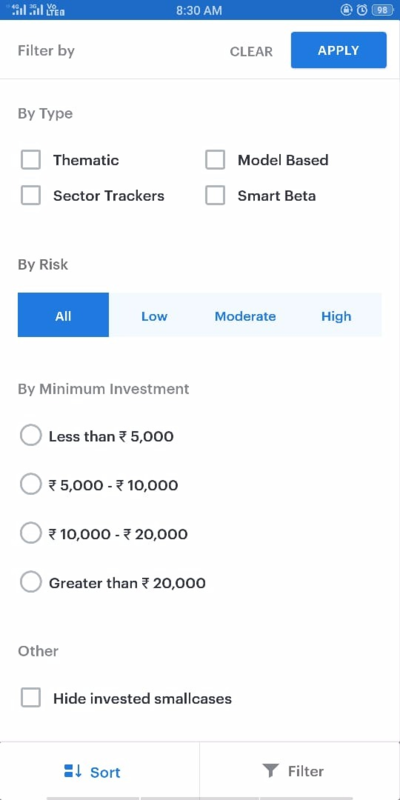 Instead, you can use narrow down on a smallcase with the help of various collections or using the filtering & sorting options that are available. 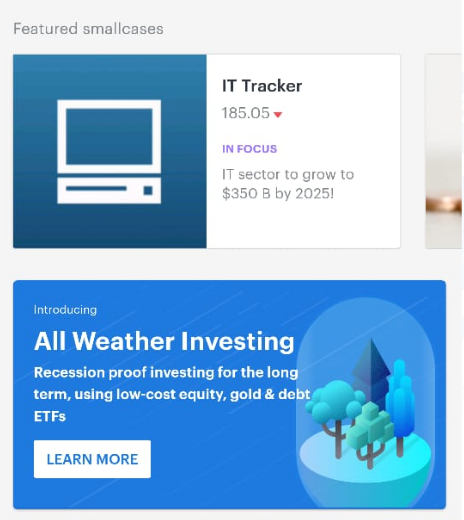 smallcases that are trending due to current news or events, recent rebalances and newly launched smallcases are highlighted as 'Featured smallcases'. 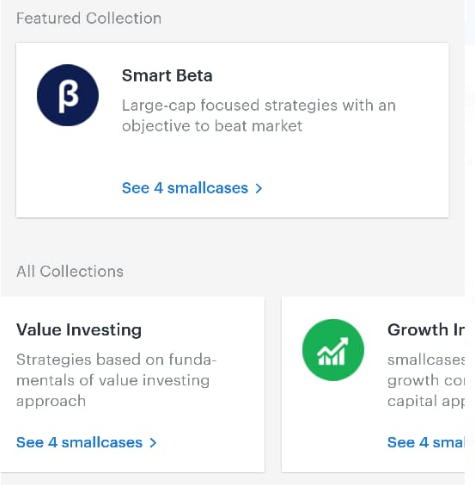 The most recently launched smallcases are shown in the Recently added section. 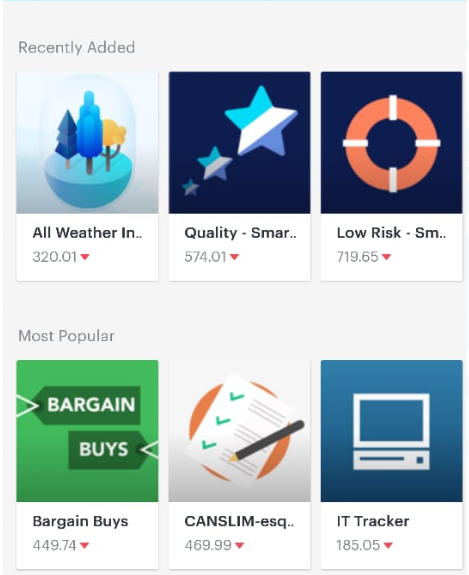 The Most Popular collection consists of the most bought smallcases in the past week. If you're looking for different ideas, collections can be a great way to start. A collection is a group of smallcases that have a common thread running through them. A Featured Collection is one that is either trending currently or newly introduced. 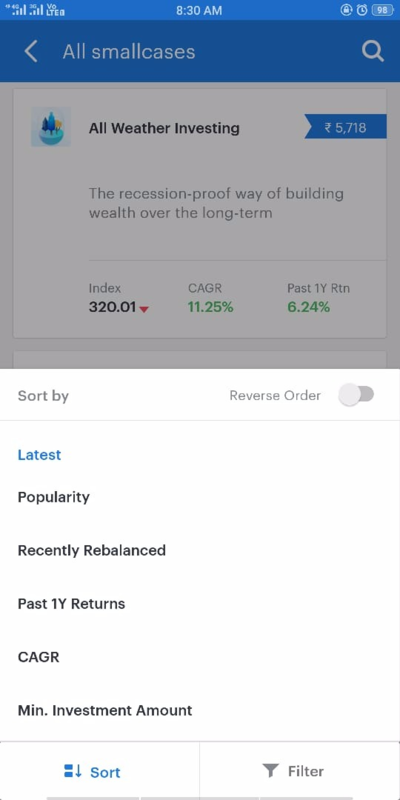 By clicking on 'All smallcases' in the Discover section, you will be able to see the option to 'sort and filter' at the bottom.